Welcome to the third edition of Performance – our online magazine which is becoming more reader driven… Thank you to all of those who have sent in articles and … please keep them coming! It has been another busy Winter here at Öhlins as on top of product development, race testing for bikes and cars and training technicians from all over the World, we have had a really busy ‘Show’ season. The EICMA Motorcycle Show in Italy (with Andreani which is featured in this edition) and the Autosport Show in the UK, SEMA in Las Vegas, Tokyo Motorcycle show and many, many more. These events give us a great opportunity to talk to customers, dealers and of course check out the latest trends in racing and street vehicles. We have two ‘Me and my Öhlins’ features written from very different perspectives – a gold leaf retro US Ducati and an ultra trick Fireblade from Croatia of all places. Simon Pavey explains the challenges of the Dakar, and staying on the dirt (although much closer to civilisation) we look at the big bucks world of Supercross. We also lift the lid a little bit on the secrets of our Automotive R&D division and showcase a saloon with a difference – the firebreathing 550bhp Volvo Polestar machine. 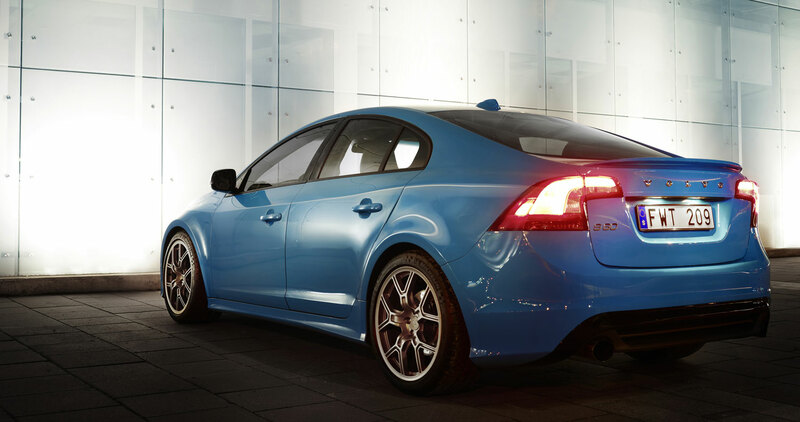 And just recently Polestar launched a special version of the car for the Australian market. With winter now gone and the motorsport season well under way the exciting period has come where we get to see how our customers do on tracks and dirt all over the world. As expected there has already been some strong results which we are proud to be part of. There are many events I personally look forward to, not least the 24 hour races at Le Mans and the Nürburgring but one totally unique event stands out; Sébastien Loeb attempting to beat the Pikes Peak hillclimb record in the amazing 875bhp Peugeot prototype! We hope you enjoy the stories from around the globe and remember you can view the previous editions of the magazine in ‘PAST EDITIONS’. This almost uniquely American phenomena of indoor motocross has continued to grow in popularity since its inception in the 1970’s and even with the US economy flat at best, it saw an incredible 830,000 paying spectators last year. Big brands such as Monster Energy and Toyota make big investments into the series and the top riders earn far more than their World MX counterparts, with some avoiding the ‘great outdoors’ completely. The action is fast and frantic whilst the music, lasers, stuntshows, dancing girls and entertainment mean that the sport has extended its appeal to families and non-motorcyclists. Each event is held within a major city inside a professional football or baseball stadium. With an average attendance of about 50,000 people, or even 70,000+ at certain locations, Supercross’ major fan base also consists of one million viewers watching from home. The very nature of the hard-hitting, precise tracks with whoops, berms, double and even triple jumps make bike set-up all important and a unequalled venue for suspension R&D. Öhlins was involved in this massive market very early in the 1970’s through fellow Swedish off-road company Husqvarna. Five time World MX Champ Roger De Coster was another customer of Ohlins as were the factory Yamaha squad, important both in traditional motocross and as the sport became big ‘indoors’. Previously in Performance we have mentioned Thorleif Hansen and his US escapades – he was also racing and testing there for Öhlins from 1974 onwards. His son Terje followed his footsteps as an Öhlins service technician and has spent considerable time in the States, first in the equally massive ATV market then through MX. Terje enjoys working with the US teams and understands the importance of the American market, “I used to travel the World with the MX series but since 2002 I’ve been mostly involved with the US; it’s been a really exciting time. At times I worked with Planet Honda in SX, the Cannondale project, Gas Gas and ATV R+D. It’s been so varied with snowmobile racing, rallying in the Dakar and so on. But I always come back to the States, it such a massive market, so important for bike manufacturers and companies such as ourselves. He was also instrumental in getting Öhlins USA heavily involved in the high profile Moto Concepts Racing (MCR) squad running MX star, Mike Alessi. MCR was created in 2008 by childhood motorcycle racing enthusiast Mike Genova. 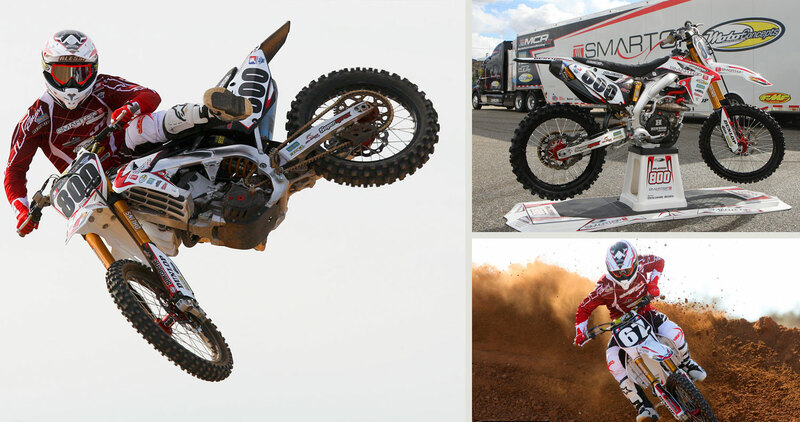 The privateer team were looking to make the next step up in the ultra competitive world of US Supercross and with their immaculately prepped Honda and Suzuki machinery, top riders and Öhlins support they are certainly on their way. 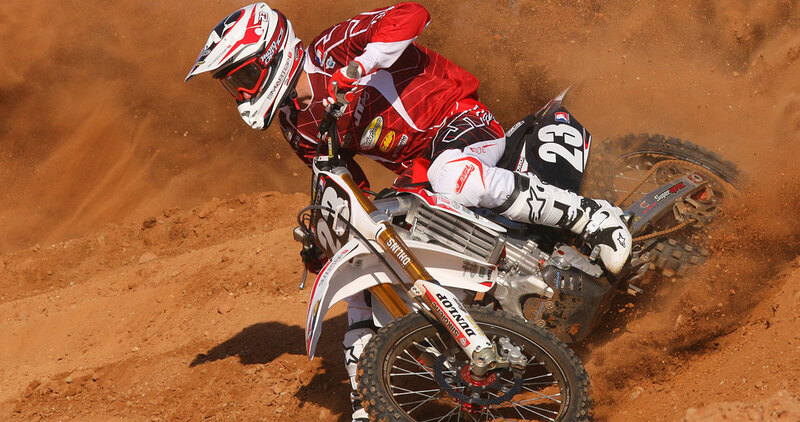 Alessi is Suzuki-mounted, while Jake Canada and Gavin Faith will be on Hondas. Director of Racing Tony Alessi added, “The front and rear suspension get great traction and we’ve all been very impressed by their ‘state of the art technology’. The entire team is extremely grateful to have such an impeccable product and company on board for 2013. With the Motocross season quickly approaching the superior help and support from Öhlins has boosted confidence in everyone to have high hopes for the future. “Terje continues, “Competition is tougher than ever in SX this season and there has been both ups and downs for the team. There’s also been a bit of bad luck involved for the riders but overall they’ve shown great speed and we are pleased. 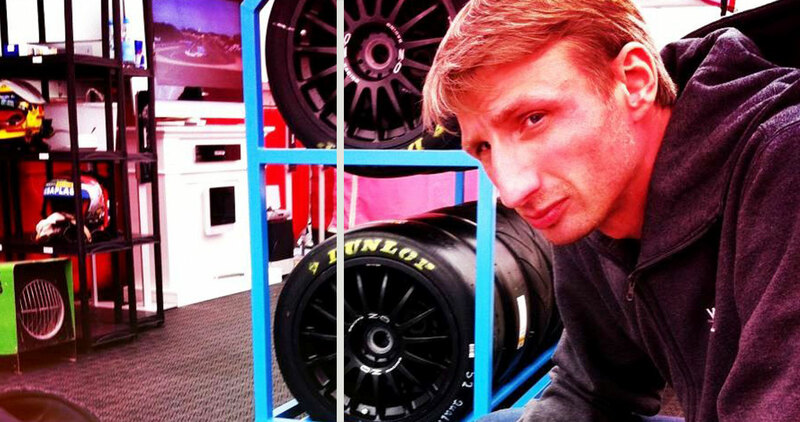 Now we also look forward to the outdoor season for which we have already started testing. If you’ve never seen Supercross just go on You Tube to check out some new and classic action! As a child, his grandfather gave him a motorcycle headlight and even then he knew he had to one day put it good use and whatever he chose to do with it, it had to honour the man who gave it to him. Having worked on high performance open wheel cars, Rich also had a long time interest in two wheels and with one brand in particular – Ducati. Forming Desmopro with Vicki Smith, a fellow enthusiast and founder of ducati.net, they set about becoming the leading Ducati restoration specialists. So when the Discovery Channel asked them to build a machine for their Cafe Racer series, they knew they needed something special – and the idea for the Cafe 31 machine was born, giving Rich the perfect destination for his Grandfather’s headlight. With the show now in its third season, they knew they needed to produce something different, a machine that would not only turn heads but offer an excellent ride- especially as legendary American road racing brothers Ben and Eric Bostrom would be putting the finished machine through its paces on track. Rich decided the bike needed to not only honour his Grandfather but should be a true Ducati thoroughbred so using four key Ducati men as inspiration – Cook Neilson who won the Daytona 200 race in 1977 on his Ducati 750SS machine, Phil Schilling who tuned and prepared Neilson’s machine plus Giorgio Nepoti and Rino Caracchi who together created NCR – the famous Ducati racing workshop. Caracchi still resides in Bologna, busy building parts in his workshop and Rich would ensure some of his very special engine parts would be included in the Cafe 31 project. With the concept decided and having endlessly sourced and stockpiled a host of interesting parts in complete secret (as dictated by the TV Show format), it was time to start assembling the Cafe 31 racer. 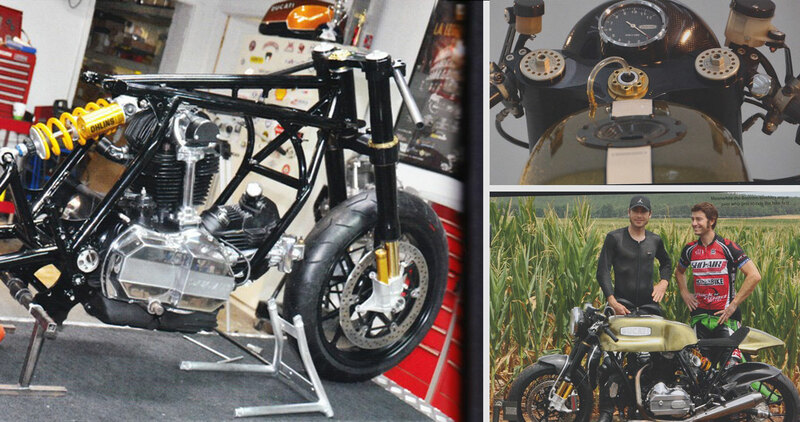 Using an old Ducati 860GT as a basis, the bike was stripped down completely so that it was just a bare engine and frame, from there the process became much slower as items became more handmade and custom. Agonising for hours over the choices continued as the bike slowly began to take shape. Keen to ensure his passion shone through, Rich ensured that with every decision made the Ducati heritage had to shine through. 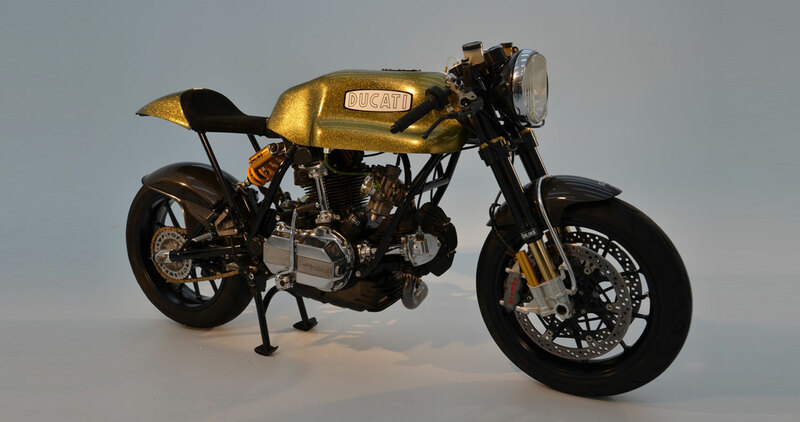 This was particularly noted in the paint scheme, when a heavy metalflake gold was chosen – a similar silver paint was used at the famous Imola races where of course Paul Smart took the victory in 1972 aboard his 750 Ducati. Continuing the amalgamation of various Ducati models over the decades, the Cafe 31 featured a handcrafted tank that was, like the paintwork, a nod to the Imola machines and featured an 888 Corse filler cap. This bike of course was scheduled to meet the Bostrom brothers who would be pushing it to its limits, so it had to not only look stunning but also be able to offer great power and most importantly, handle extremely well. Up front, a set of Öhlins FG353P gas forks from a crashed Desmosedici D16RR were chosen as the perfect option so they were sent back to Öhlins Headquarters to be repaired and serviced before being fitted to the Cafe 31. At the rear, the Öhlins unit was modified to accommodate a monoshock, the chain eccentric now served as a means to adjust the rear suspension and swingarm. To help with the handling, extensive work went on with the GT frame, reducing overall weight was key and a custom aluminium subframe was crafted while geometry was improved by reducing the rake from 31 degrees to 25. 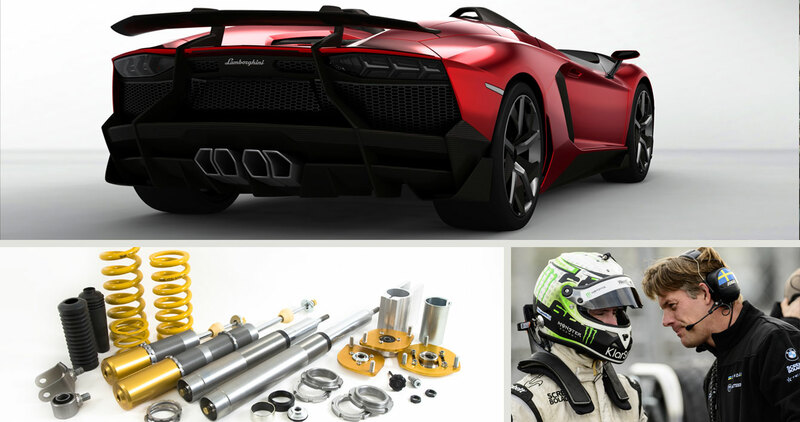 Further weight loss came from lightweight forged alloy wheels along with a whole host of exotic carbon fibre parts. Finishing this stunning gold machine is Desmopro’s own stainless steel two into one exhaust, offering the Cafe 31 a distinct and loud growl. With that, the Cafe 31 was sent off to meet the Bostrom brothers. As you would expect from the two it didn’t take long before they were pushing the machine to its limits – both returning with huge grins and enthusing about how light and powerful the motorcycle was. Rich and Vicki had done it, together they had produced an iconic Ducati cafe racer that was not only equally as happy on the road as it was on the race track but honoured Rich’s grandfather. Founded in 1996 by Christian Dahl and in collaboration with Volvo, Polestar was formed in order to drive forward Volvo’s investment in racing. While the company’s core business is focussed upon the development and competition of racing cars, they also offer a full performance service for Volvo customers where they use their 17 years of knowledge to tune a good, solid vehicle to that of an ultra high performing car. Polestar is today the official Motorsport and Performance partner of Volvo Cars. 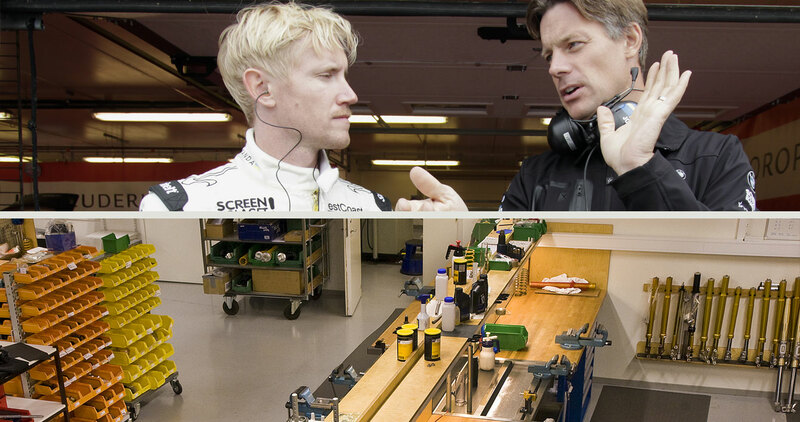 Continuing to go from strength to strength, Polestar achieved their best ever season to date during 2012 when they secured the treble of Drivers, Teams, and Manufacturers titles in the Swedish TTA Racing Elite League. Having raced with numerous models from the Volvo range over the years including the 850, S40, S60 and C30, 2013 will see five of their latest creations, the stunning S60 model, compete for the prestigious Swedish Touring Car Championship (STCC). But now they are turning their attention to road cars as well. Having received rave reviews from around the world and being the centrepiece of the Öhlins stand at the Autosport show in January, the Polestar S60 concept car features a whole host of exotic and special one off parts and boasts an incredible 508bhp! The three litre, straight six ‘T6’ engine has been given the full Polestar treatment – modified cylinder heads and combustion chambers, modified inlet manifold and air intakes plus specially manufactured conrods to boost this safe saloon car into a full racing weapon. A further power boost comes from the Garret 3171 turbo while the stainless steel Ferrita exhaust system offers an unmistakable growl. Of course, it is not just the BHP that Polestar have tuned, increasing the torque considerably over the stock car their S60 will now accelerate from 0-100km/h in just 3.9 seconds – in comparison a Ferrari FF takes 3.7 seconds. Capable of speeds well in excess of 300km/h the Polestar S60 is seriously fast. Of course, speed is all well and good but Polestar’s main focus when developing the car was to combine the genuine Volvo driving experience with a high level of power and handling. So with the engine boasting impressive figures the Polestar team had to ensure the rest of the car was capable of putting this power to the ground so set about making the car a perfect blend of speed and handling. Lowering the chassis by 30mm, widening the front by 20mm and the rear by 40mm they also fitted a reinforced anti-roll bar at the front and rear of the car. There are Öhlins three-way shock absorbers, special 19 inch rims designed by Polestar and a host of modified parts including control arms, engine mounts and bushings. Extensive testing in Volvo’s own wind tunnel has led to streamlined splitters and diffusers, while Brembo six piston callipers provide incredible stopping power. Weighing in at just 1,640kg, the Polestar S60 is an impressive vehicle. Britain’s Top Gear were more than impressed, stating “Polestar have done a Jekyll and Hyde number on the S60 – without any murderous side effects!” while over in America legendary talk show host and stand up comedian Jay Leno went behind the wheel of the car for his online show ‘Jay Leno’s Garage’ where he stated “This car has changed my whole feeling about Volvo. A Volvo on steroids. Very impressive”. Of course, reviews are good but the Polestar S60 really showed its mettle when Chris Harris and ‘Pistonheads’ put it through its paces during a test earlier this year. Having left a snowy Sweden in the hope of some slightly better weather over in the UK, they awoke on the day of the test to find the airbase they were meant to be using covered in snow – cue some fantastic footage of the light blue Polestar S60 snowdrifting its way around the tarmac. The real purpose of the test though was to see how the car compared against the more established sports cars on the market, in particular the Mercedes C63 AMG vehicle. With years of experience behind them, AMG should be expected to have the upper hand, yet such is the power of the Polestar S60 that during the drag race it simply pulled away from the Mercedes without looking back, which led to Chris stating, “”This was a test to discover whether Volvo is on to something with this whole Polestar brand. The S60 is a concept car and while there are plans to build and sell a handful of these beautiful vehicles, at a cost of around £200,000 to build they’re not going to be for everyone’s wallet but demand is still expected to outstrip supply.However that doesn’t mean Volvo drivers can go without as Polestar offers a wide range of performance upgrades which can be purchased online and fitted at your local Volvo dealership with retained warranty , unaffected fuel consumption and as unchanged environmental impact. 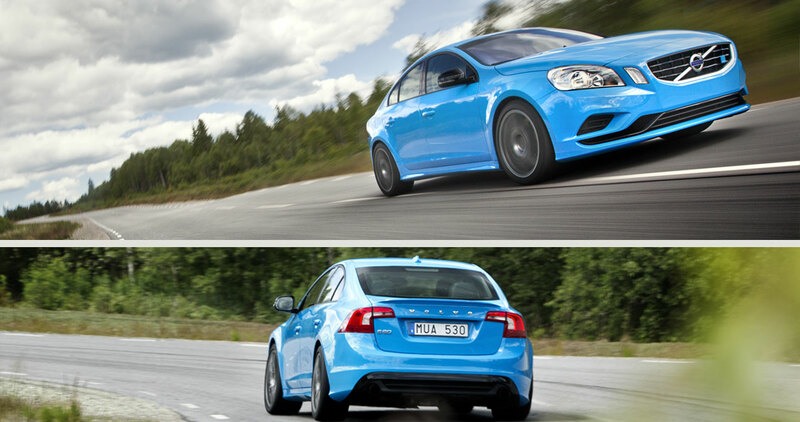 Polestar launched their road going S60 version recently for the Australian market and top Öhlins staff attended also. The Australians love their muscle cars and this compact monster really impressed them. The six-cylinder turbo-charged Volvo T6 engine has been optimised by Polestar with a bigger turbo, new intercooler, revised engine mapping and racing exhaust to produce 350bhp or 257kW and 500+Nm. The S60 Polestar accelerates from 0-100km/h in just 4.9 seconds, via a Polestar-tuned six-speed automatic gearbox – which also features a launch control system – and a Polestar-tuned Haldex 4WD system. The car is governed to a top speed of 250km/h for the road. 05 – R&D – Practice makes perfect! 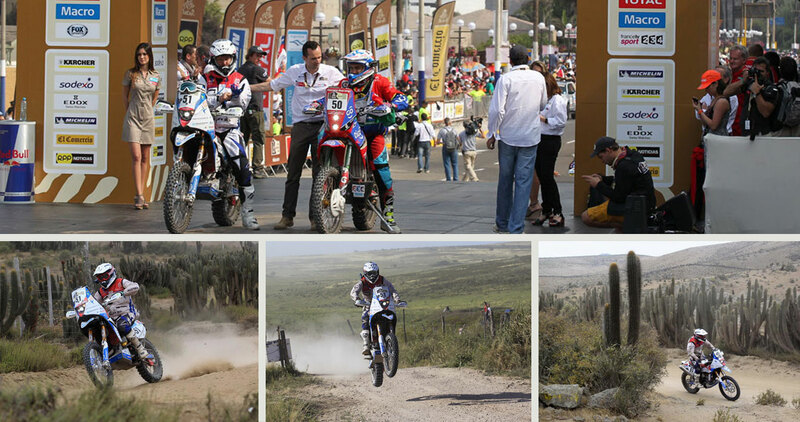 Pavey is no stranger to the Dakar Rally having secured his seventh finishers medal this year, he’s also one of the few riders to have competed in both the previous African based event and in its current Western hemisphere. His name has become synonymous with the Dakar and adventure riding in the UK, even starring in a successful TV show with Charlie Boorman ‘Race to Dakar’. 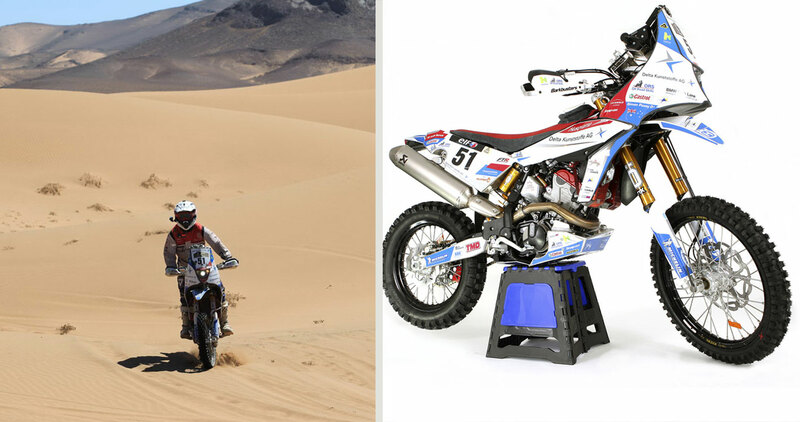 Equipped with the race proven Husqvarna TE449 RR machine, Pavey was boosted by technical support from Öhlins and FTR since he’d opted to run the latest RXF 48 forks, TTX44 shock and SD2.1 steering damper for his 2013 Dakar campaign. 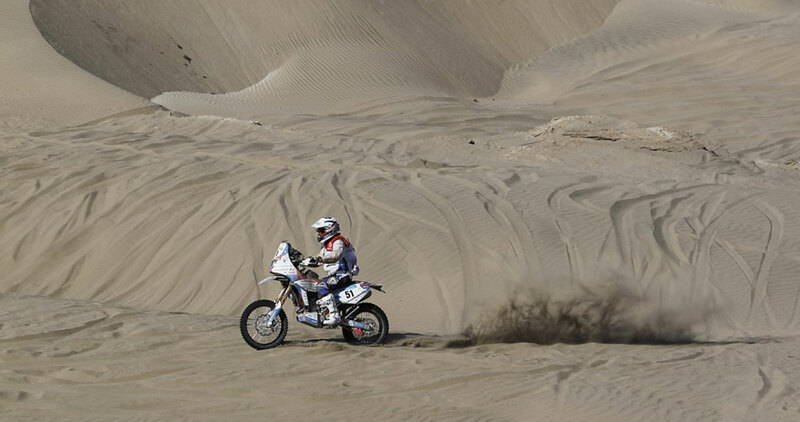 “For me, this was probably the easiest and most straightforward Dakar I’ve ridden. Personally, I think the route and course were too fast and too easy, which you can see from the higher finishing rate. I have always performed best when the conditions have been the toughest and my strengths are more in persistence than outright riding speed. Having said that, my preparation for the event was the best I’ve ever had and we have built the perfect privateer team, which meant my only job was to ride and navigate. The team took care of everything else from working on the bike to preparing food, my riding kit, the camp, fuel logistics, passports at the borders and the million other things that a privateer normally struggles with at the Dakar. “Even though I have made a few negative comments about the event being easy this year, it needs to be kept in context – there is currently no other event even remotely like it. The scale is just immense with 4000 people in the bivouac, 500 competitors and 14 days racing across 3 countries. It is so exciting to be involved in and I feel truly privileged to be able to compete in it. “The race is so different and the course changes so much it always remains exciting and challenging. Despite having seven finishes, the start is always terrifying as just one small mistake can take you out on Day 1. “Africa was special and I was very lucky to take part in that part of Dakar’s history and to have the life experiences I had there. In Africa the navigation and the true feeling of being lost and alone on the planet was part of the race and will never be experienced by competitors in South America, but do I miss it? – No!”. Headed by enthusiastic founder Giuseppe Andreani, the company went from its traditional motocross roots to become the suspension partner of choice for major road race teams and among others, look after the factory supported Honda Ten Kate squad. The company is also a World leader in suspension education hosting domestic and international delegates to be schooled in the theory and practice of the sublime art of motorcycle set-up. With a special lecture hall that seats over 50, a stage houses a wide screen, bike-street simulator with bi-directional telemetry, all controlled by a special programme, all designed to bring the science of suspension to life. Andreani regularly host different types of training sessions and courses to increase the knowledge of suspension for their network of service centres and dealers. In his day a top International MX rider in his own right, Giuseppe also played a part in the resurgence of Öhlins in World MX with top teams such as the Rinaldi Yamaha squad. Although seen in the parc ferme of World Superbike and Supersport with the Ten Kate squad, the Andreani technicians have a truly eclectic group of customers. With road race teams from all the major National Championships including official technical assistance in the Suzuki, Yamaha, Honda, Kawasaki squads and Aprilia Trophy, Andreani help keep the Italian CIV series at a high level of suspension competition. 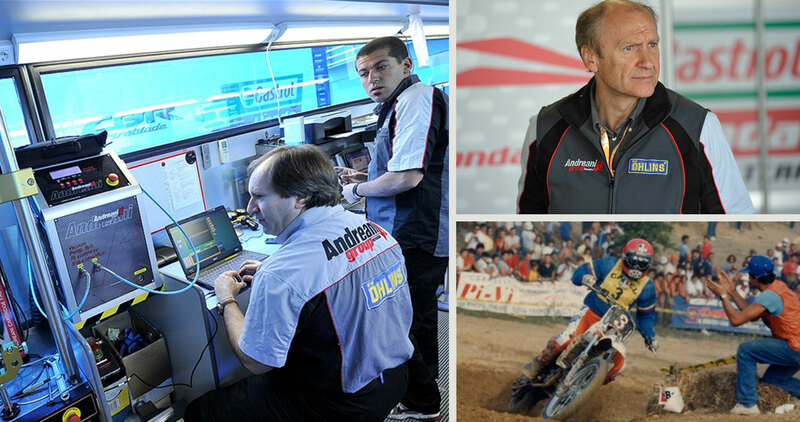 The distinctive Andreani ‘arrow’ shirts can even be found in the MotoGP support classes of Moto2 and Moto3. And it’s not only bikes, Andreani is very much present in the car racing scene in Italy as well, including everything four wheel from historic and modern in both racing and rally. In off road Giuseppe and his technicians never forget their roots with a plethora of high level and grassroots riders in MX and Enduro relying on their expertise out in the field, so to speak. The vast majority of Andreani’s customers are still road and trackday riders who want to get the very most out of their machines and it is this daily interaction with bikers that gives the Group its ongoing experience. As an ex-motocrosser it must have been a great feeling being part of Öhlins’ return to World MX in 2010? There was a really big involvement for me in this for sure. MX has always been my life, I was personally at every race and invested a lot of time and I guess energy in this project. My company and all technicians involved spent a lot of time in testing and development in collaboration with Öhlins in Sweden. In the end it was a really big honour for me to get Yamaha again into such a high level on the MX circuit. Presumably you have a passion for both tarmac and dirt these days? Thanks to the great experience we have in both Off road and Road Racing, we had really big success also in the Supermoto category, which is obviously the greatest mix of the two. We support directly many Teams and also the TM Factory Squad, the current World Champions. The SMD world championship is a really important class for us and we find also here many tests and have developed special materials. We are a 360° Company and you can find us everywhere. We’re into WSBK, Moto2, Moto3, EMXS and the World Enduro Championship. What would you say was your favourite moment in racing working with these top teams? The most emotional for me was Ten Kate winning at the very first race they made with our support in 2009 at the Misano World Championship circuit. Which rider / team do you have especially good memories working with over the years? Well, I would say again Ten Kate. Just because it’s many years we know each other and its been such a great collaboration. Commercially as your company has got bigger, this must have brought pressures of staff and logistics with it? As I did in my Racing career I used to risk a lot also in my business and I have tried always to be surrounded by good people. Guys that have a particular passion for motorcycles and this job and that are willing to get better every day and increase their knowledge. This helps a lot in our business and also for the motivation inside the Company. You must be proud of the way the business has been built up. It´s an impressive operation… It wasn’t that easy and honestly I’m proud of what Andreani Group is now. We aim to increase our technical level and be able to serve as best as we can our daily customers to try and give them the same attention that we provide to our top World Championship teams. This is probably the reason why our business and relation to our customer gets stronger and stronger. We opened now also a new facility in Spain in collaboration with Juan Martinez and we will replicate the same business strategy like we did in Italy. What makes you passionate about your job? Maybe the fact that I used to race all my life and to be on the race field every weekend, gives me again that feeling like in my younger years. That’s probably one of the reasons! 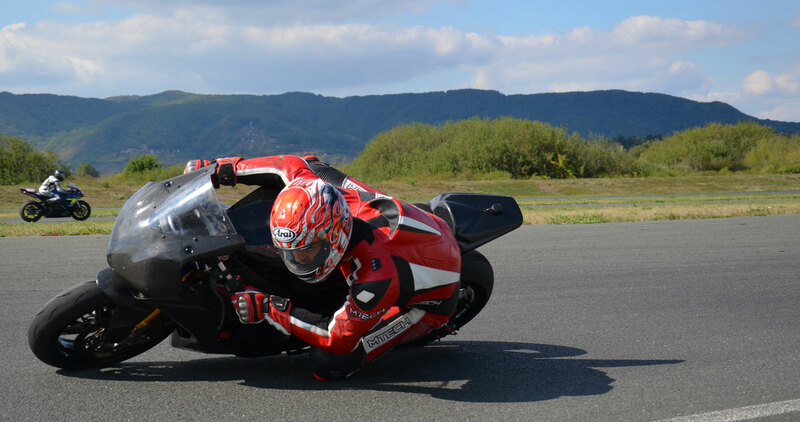 08 – The perfect trackday machine? While Petar’s patience would pay off in the end, he had to first begin transforming the machine. “The key aspects of the bike I wanted were driveability and low weight. Rather than tuning the machine into a dyno monster which nobody could really use I wanted the bike to be the lightest machine possible that I could then take on track days, which are a big passion of mine. “First of all I removed any superfluous parts – the bike was only going to be used on the track so that meant I could remove parts such as the wing mirrors, licence plate and headlights. All this saved quite a bit of weight and from there, with the bike stripped down; I began to fit the best and lightest parts available to me. “One of the first things that I wanted to do was to replace the standard wheels and keen to save as much weight as possible I opted for a set of carbon BST wheels, which are the best I’ve ever ridden on. I also fitted a CMC Brake Tech brake disk on the front which would not only shed some further weight but offer some incredible braking power, while on the rear I fitted a super light brake disk from Galfer which also had reader-slots for traction control – something that would come in handy on track days. Further weight reduction came from the fitting of Brembo monoblock SBK callipers, using an HRC alternator and by replacing the steel clutch plates with aluminium ones. It wasn’t just aftermarket parts that Petar fitted to his ‘Blade, he developed his own lightweight fuel tank, which brought the centre of gravity closer to the centre of the bike and is a similar technique to that used on Superbike and MotoGP machines. This modification meant the bike would be easier to turn and corner, ideal for a fast lap. Petar also fitted a Motoholder aluminium subframe, which substituted for the complete rear end of the bike and with the addition of HRC fairings it meant his bike now looked like a true race bike and most importantly took five kilograms off the total weight of the machine. With the CBR beginning to take shape again, it was time to start thinking about making the machine the best possible track day bike he could, “It was an easy decision when I had to choose which suspension to go for. For me, Öhlins have always represented cutting edge technology and their endless experience from race tracks all around the world and not to mention the countless victories and Championships they’ve won meant it was a perfect match for the track day bike I was building. I sourced some Öhlins Road and Track FGR803 forks and a TTX788 rear shock. Coupling with the suspension, I fitted a special KR (Kenny Roberts) swingarm. ” While he didn’t want a machine that was all ‘top end’, Petar ensured the engine still got an overhaul by fitting a host of official HRC and other exotic parts. With the machine almost ready to hit the tarmac, there were still some final weight gains to be made from fitting a brand new battery which was 65% lighter than the stock version, an Akrapovic titanium exhaust, Motec and HRC electronics, plus carbon fairings, air-runners and fender. 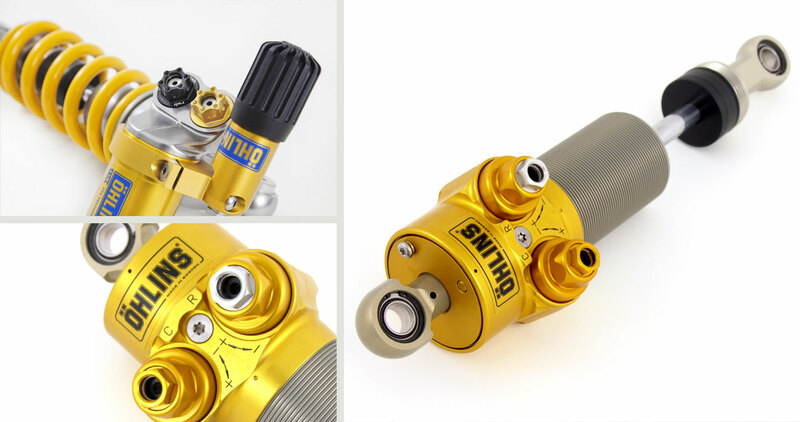 After nearly thirty years and nearly 300 World Championship titles, Öhlins’ revolutionary twin tube shock absorber design remains the number one choice. So what are the secrets behind its success? While the actual twin tube damper design has been around for a considerable number of years, only Öhlins have managed to successfully master the technology required to make the system work effectively in a variety of damper formats. 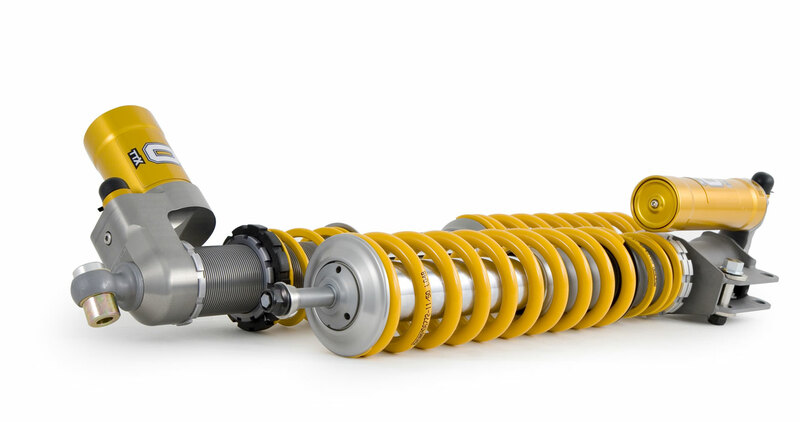 Öhlins developed their original Twin Tube (TT) design of damper in 1996 for use in car racing, however it wasn’t long before its success created a demand in many other forms of motorsport. Today the updated TTX design of damper can be found not only in the very highest levels of four wheeled racing such as Le Mans and World Rally, but also in two wheeled competition on bikes battling in MotoGP and World Superbikes- as well as countless road bikes whose owners have updated their suspension with Öhlins products. When it comes to racing, the vast majority of leading competitors choose Öhlins dampers with their TTX technology as it is a proven winning combination. So what is happening inside the TTX damper? Unlike a conventional design of damper, the TTX has two separate tubes within the damper’s body – a feature that gives rise to its name – as well as a solid main damper piston. The inner tube houses the damper’s piston and rod while the outer tube allows the damper’s oil to flow between the tubes, via adjustors, and back to the other side of the piston when it is displaced during either the compression or rebound movement of the damper. This flow of oil combined with the adjustors position and solid main piston, eliminates the risk of cavitation, a phenomena that is caused by air bubbles forming in the oil, due to pressure dropping to close to zero somewhere within the damper. Air bubbles in the oil changes its physical properties significantly. In a TTX damper the lowest pressure within the damper remains well above zero throughout the piston’s movement, eliminating the risk of cavitation regardless of setting. While this initially sounds complicated, it is actually a very simple, and elegant, solution to creating accurate, consistent damping qualities. When a conventional damper is under its compression or rebound stroke, the oil is pushed through the main piston which has several holes in it covered by shim stacks to control the main flow of oil. This gives the damper its main resistance to movement, however fine tuning is done via needle adjustors which regulate some of the oil’s flow. A conventional damper can be set up wrongly so that cavitation can occur as opposed to the TTX. Needle adjustors and the shims rely on constant properties of the oil to allow them to accurately control the damping, something that doesn’t happen when the oil is full of bubbles. When a TTX design of damper is displaced, the oil is pushed by the solid main piston through two damping needle adjustors with shim stacks and check valves, similar in design to those in a conventional damper. When the oil flows under compression it is channeled through a needle adjustor and shim stack on the compression adjustor and a check valve that bypasses the rebound adjustor. Once the oil passes the adjustors it flows between the tubes that make up the damper’s body and back to the rebound side of the solid main piston. During the rebound stroke the oil flows back along the same path on as when it was under compression but in the opposite direction. When the oil reaches the rebound adjustor the needle restricts its flow together with the shim stack to create adjustment. A check valve in the compression adjuster lets the oil back to the compression side of the solid main piston. This layout of the TTX means that the damper’s adjustors are more separated in compression and rebound, and also, shim settings can be changed much more quickly for the ability to fine-tune the suspension’s movement – leading to a better set up suspension system and therefore a better handling vehicle. So simple, and yet effective, is Öhlins TTX design that the company has been able to expand its use from not only car dampers but also motorcycle shock absorbers and even motorcycle forks – an application for which it has proved extremely effective at both world and domestic racing. MotoGP- A resurgence of excitement?! The vast majority of the twenty four strong grid will once again be using the iconic gold and yellow of Öhlins as they compete for glory and throughout the preseason testing and opening rounds it has been a tale of five riders. Reigning Champion Lorenzo remains the title favourite, having been one of the most consistent and fastest rider throughout testing he fired the first warning shot to his rivals with a faultless ride in the opening round at Qatar. Overshadowing Lorenzo (in terms of publicity) though was the performance of the man on the other side of the garage, Valentino Rossi. 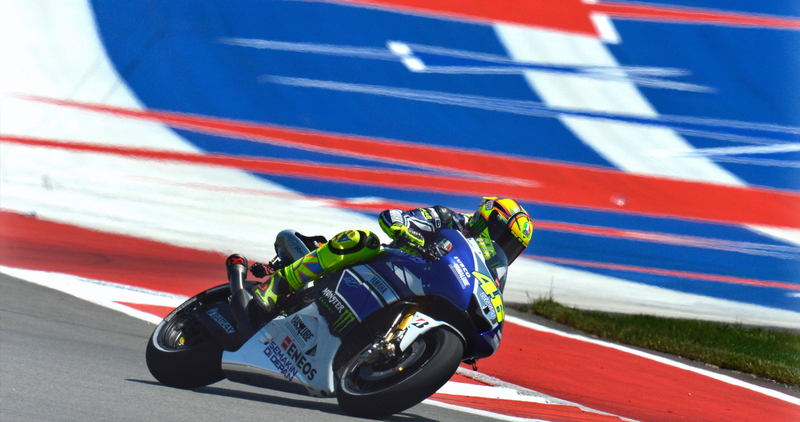 While his highly anticipated return to Yamaha has divided opinions, he silenced critics with a stunning ride that saw him battle his way through the field to take second place. With mechanical woes forcing him down the order at the Circuit of the Americas in Austin, Texas. his legions of fans are hoping it is just a matter of time before he once again reaches the top step. Following his most successful Premier class season to date in 2012, Pedrosa will be hoping he can go one position better this year and finally clinch that elusive first MotoGP title. Pedrosa’s biggest threat however comes in the form of his younger team mate, Márquez who has stunned the paddock with his breathtaking elbow dragging style and blisteringly fast pace. After taking a debut podium in his first race before following it up with a dominant victory in America, Márquez is now the youngest ever premier class victor. The best of the rest is Britain’s very own Cal Crutchlow on his Monster Energy backed satellite Yamaha. After topping the timesheets at the final test in Jerez, he has impressed in the opening rounds of the year as he hopes to become the first satellite rider to win a race since 2006. Despite having their preseason testing disrupted by bad weather, it hasn’t stopped the fairing bashing antics of the Moto2 class and the title is already looking like it will be a season long battle between Pol Espargaro on his Tuenti HP 40 Pons Kalex and Scott Redding, on his Mark VDS Racing Kalex machine. Once again over 90% of this highly competitive will be racing with Öhlins suspension. Kicking off the racing season back in February, the opening round of the World Superbike Championship threw up the usual thrills and spills that fans worldwide have become accustomed to as Aprilia duo Eugene Laverty and Sylvain Guintoli took a win and a second place apiece at the opening round of the season at Philip Island however it was all change at the second round of the year when BMW new boy Chaz Davies took a formidable double victory at Aragon to stamp his mark on this year’s title. Round three in Assen saw some fantastic battles with the factory Aprilia’s battling the Kawasaki machines giving Tom Sykes and Laverty a win apiece. In the UK, Öhlins will be gunning for an unprecedented fifteenth British Superbike title with the Samsung Honda duo of Ryuichi Kiyonari and Alex Lowes- who has yet to finish off the podium, the Milwaukee Yamaha’s of James Ellison and Josh Waters and for the first time ever, the Tyco Suzuki’s of Josh Brookes and PJ Jacobson. 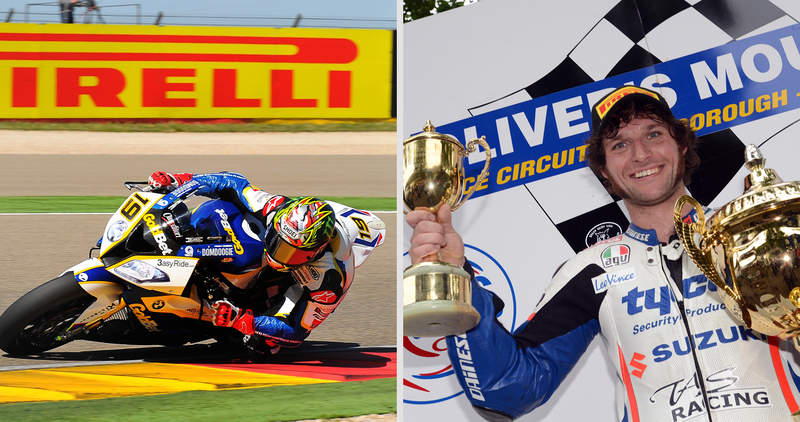 The Milwaukee and Tyco teams will also be competing at the iconic Isle of Man TT. Over in America the 72nd annual races at Daytona, and opening round of the AMA series saw an Öhlins whitewash as all seven races were won by their riders. The young Josh Herrin kicked off his Superbike challenge with a win and second place onboard his Monster Energy Graves Yamaha, while in the iconic Daytona 200 it was a clean sweep with every rider who completed 200 miles, doing so on machines equipped with Öhlins. The Öhlins equipped SRC Kawasaki squad made it another emphatic win in the legendary Bol d’Or 24 Heures race in April. The 77th Edition of this classic event saw SRC Teamsters Loris Baz together, Gregory Leblanc and Jérémy Guarnoni win by a Massive nine lap margin over the next team (YART Yamaha). 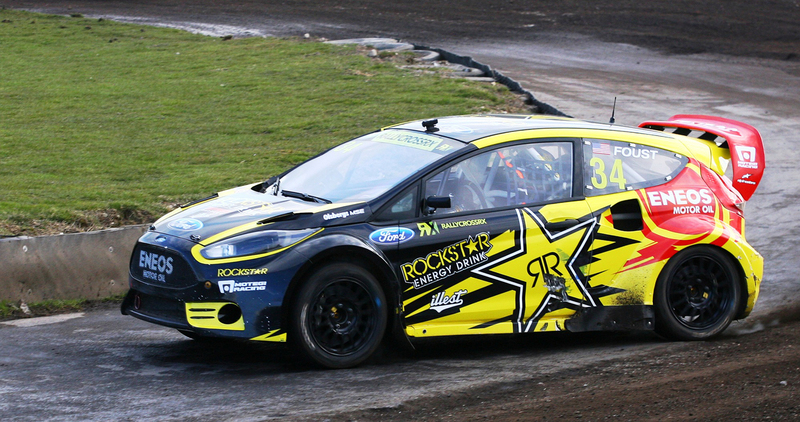 The championship will be run over 9 rounds all over Europe and Öhlins is used by a number of teams including the top runners from Citroën and Ford. It seems Peugeot Sport is on a roll at the moment with some really exciting news recently announced. Earlier this year Peugeot launched the new 208 R2 for the new R2 rally class and the car was an instant hit with almost 100 cars already sold. A circuit version for the VLN races at Nürburgrings Nordschleife has also been made and it’s already won its class in the opening round of the VLN. But maybe the most exciting news is the 208 T16 Pikes Peak version they have launched for an assault with 7-time world rally champion Sébastien Loeb for the Pikes Peak classic mountain climb. Peugeot themselves describes it as a complete endurance racing prototype and there are some cross-over development from their 908 Le Mans prototype. With an extreme prototype chassis including Öhlins TTX and very advanced aerodynamics, the car will be pushed forward with the help of a 3.2-litre twin-turbo V6 engine producing 875bhp! With the car weighing in at just 875kg the performance is staggering, matching its extreme looks. Expect to see YouTube filled with movies of this monster once it gets going at Pikes Peak. A first test run with Loeb behind the wheel has already been completed. The new BMW Z4 GTE has come up to speed and BMW Team RLL finished a one-two in the GT-class in the ALMS-race at Long Beach earlier this month. It was only the second race of the season and after having qualified fifth and seventh in the class they quickly climbed through the field. Bill Auberlen and Maxime Martin won just 6,7 seconds ahead of the sister car in the hands of Joey Hand and Dirk Müller. As expected the Formula One season started in style and the title battle already promises to be exciting all the way to the final chequered flag . And there’s a new player in the title hunt. The Lotus F1 team has carried their good form from last year into this season and after four races Kimi Räikkönen sits second in the standings with three podiums including victory in the season opener. 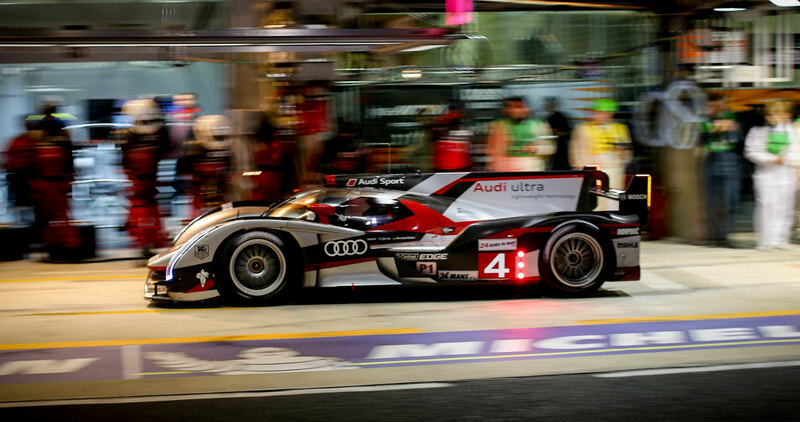 With Romain Grosjeans form improving they are also second in the Manufacturers Championship. With tyre management a key factor this year, Lotus looks strong; often being able to keep their tyres in shape during the race and make less pit stops than their competitors. The European leg of the season starts now with the Spanish Grand Prix coming up in the second weekend of May. A star is born down under! Australian touring car series V8 Supercars has already completed four events and a new star has been born. The new generation of V8 Supercars has already produced multiple winners in the first rounds and one of them is 19-year old rookie Scott McLaughlin driving for Garry Rogers Motorsport. With no respect for the veterans he’s taken the fight to them and the reigning Dunlop Series Champion has already won a race outright. By winning round six at the ITM 400 Auckland he became the youngest race winner in the V8 Supercar category. With new found form at Garry Rogers Motorsport he is currently placed 10th in the standings. Mercedes took a firm grip on the opposition when Italian Superstars started the season at Monza. 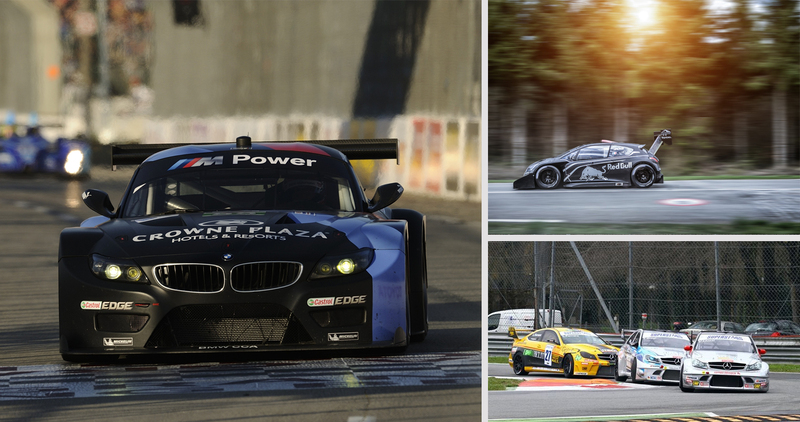 It was a clean sweep in both races for Mercedes drivers Vitantonio Liuzzi, Thomas Biagi and Luigi Ferrara. With a win and a second place, former F1-driver Liuzzi heads the standings as the championship continues at Brno, Czech Republic. 08 - The perfect trackday machine?